Prominent & Leading Manufacturer from Mumbai, we offer casement keeper, bump stopper, aluminum window roller and domal concealed aluminum lock. 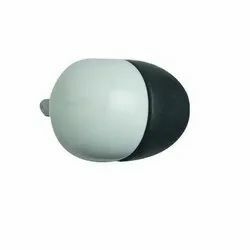 Casement Keeper is used for upvc door hold open. Casement Keeper is made from zinc dia cast alloy. 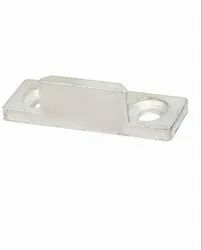 Bump Stopper is used for door holding door open. Bump Stopper is made by durable plastic material. Keeping track with the market development, we are engaged in offering our clients with a wide collection of Aluminium Window Roller/Fitting. These fitting are manufactured using excellent quality raw material and latest technology by our skilled professionals. In order to ensure quality, this fitting is stringently tested on various parameters by our experts. Apart from this, remarkable quality and sturdy structure increase the demand of our offered range in the market. We are instrumental in providing our clients a comprehensive range of Domal Concealed Aluminum Lock. The offered lock is designed by deft professionals as per the set industry norms from certified quality raw material keeping in mind defined industry norm. We offer this lock in different specifications and can be customized as per the requirements of the clients at highly competitive prices. 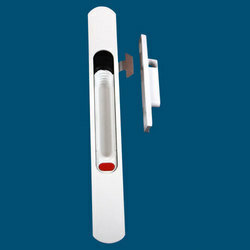 Our offered lock is widely used for security purpose.